The two best teams in the Highland League cancelled each other out in a thoroughly entertaining encounter full of passion and fury. Colin Williamson gave Brora a half-time lead but Jamie Masson hammered home the equaliser four minutes after the restart. Cove midfielder Connor Scully said: “It was a really big point. In the end, I thought we were unlucky not to get a winner but if we win down at Fort William on Wednesday we will go six points clear at the top of the table. Brora celebrate Colin Williamson opening goal. 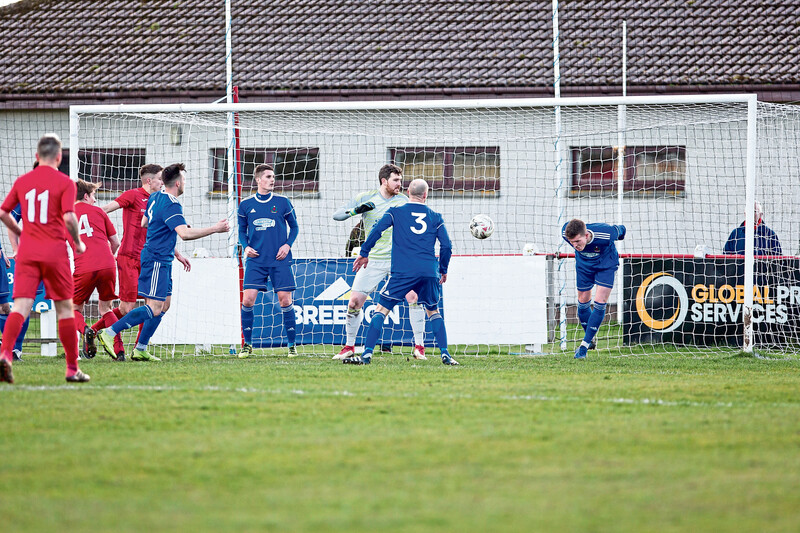 “We had to come from behind after Brora’s opener but the wind played a big part in the game. “The manager told us at half-time to come out strong in the second half and I think we did that with an early goal. Brora were without injured centre-half Mark Nicolson and striker Zander Sutherland, who was suspended. 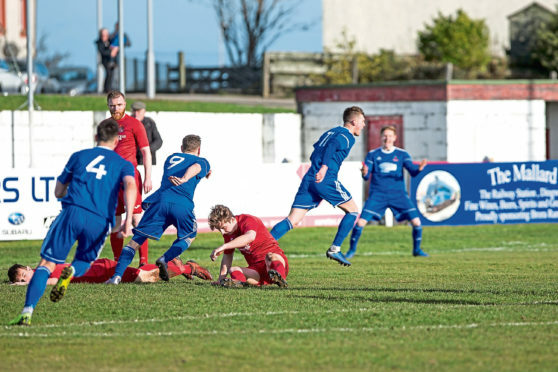 Player-manager Steven Mackay left himself on the bench, while Cove Rangers were without left back Harry Milne. The Cattachs started brightly with a stiff breeze at their backs, forcing two corners in the first three minutes. Former Fort William and Rothes striker Scott Davidson almost opened the scoring in the fourth minute when he took a Martin Maclean feed but shot a yard wide. In the 11th minute, Cove’s top scorer Mitch Megginson went down under a heavy challenge but managed to continue after treatment from the physio. Brora goalkeeper Joe Malin palmed away a dangerous low Martin Scott cross and there were no takers for the rebound. At the other end, Cove number one Stuart McKenzie just managed to get his fingertips to a Kyle MacLeod chip. Malin did well to block another Scott effort with his legs before Brora’s Maclean tried his luck from distance but McKenzie gathered easily. A late Brora attack is cleared off the line. 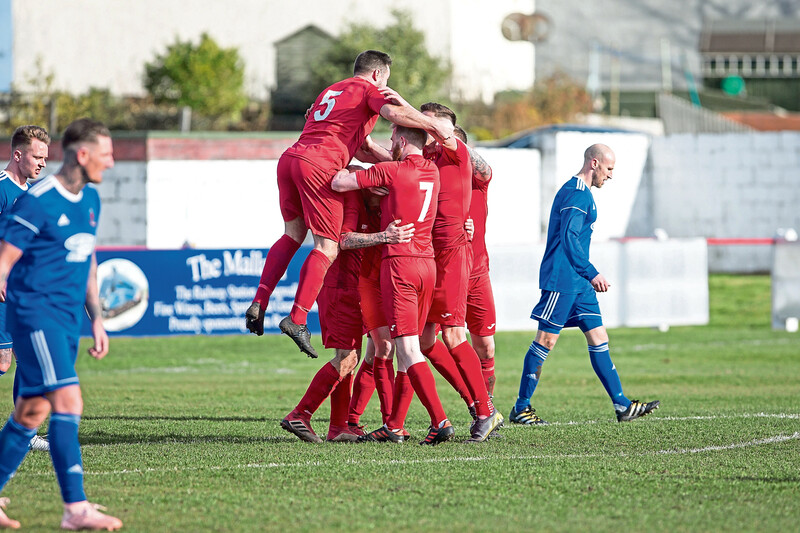 Brora took the lead in the 33rd minute when central defender Williamson beat McKenzie with a superb 12-yard curler. Daniel Park thought he had equalised a minute from the break but James Ross appeared from nowhere to clear his 12-yard shot off the line. Two minutes after the restart, Scott should have levelled but Malin again managed to get down and block the former Cowdenbeath forward’s effort. But Cove drew level in the 49th minute when Megginson fed Yule who played in Masson to drill the ball low past Malin.Cove thought they’d gone ahead on the hour when Yule converted a Scully cross but the assistant flagged for offside.